To date, Duval Paving, LLC has over 20 years of experience and offers professional residential and commercial paving solutions to Jacksonville and surrounding areas. As a family owned and operated business, we at Duval Paving, LLC take pride in providing outstanding paving services to our valued customers in the Jacksonville area. 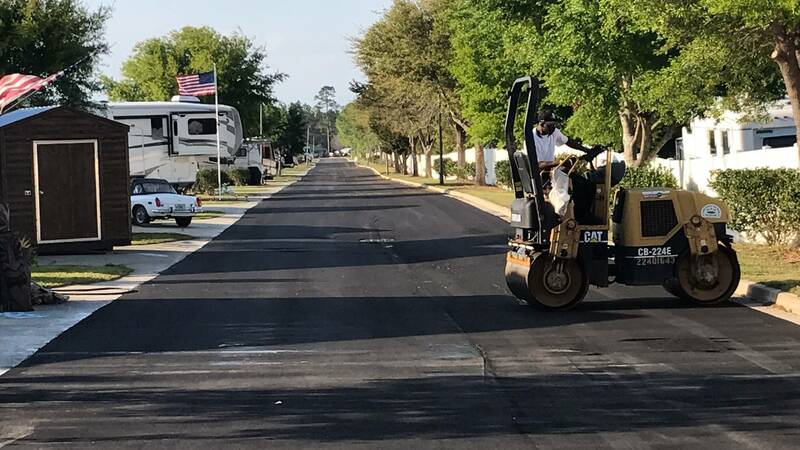 Jacksonville Asphalt: Whether you're adding a driveway, parking lot, or walkway, Duval Paving, LLC can install your new or temporary asphalt surface. Jacksonville Concrete: If you have champagne taste on a beer budget, a concrete installation may be for you. Duval Paving, LLC can make your surface look like anything but concrete. Jacksonville Sealcoating: Protect your asphalt surface from harsh weather, wear and tear, and hazardous chemicals with a professional sealcoat application by Duval Paving, LLC. Whether you're looking for asphalt or concrete, Duval Paving, LLC is the paving company Jacksonville customers rely on for quality installation. Call today to speak to one of our paving specialists!